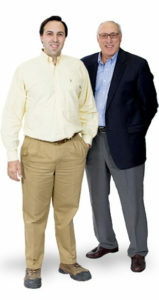 In keeping with a dedication to excellence in construction that spans three generations, Santo and David Cimino founded Stroudwater Construction Co., Inc., in 2004. Together, father and son apply over 50 years of construction experience to carry on a family tradition that places uncompromised quality first. Today, our clients are the beneficiaries of Santo and David’s commitment to quality construction, open communications and a collaborative team approach to building. From stringent LEED Certified construction projects, to historical renovation and luxurious custom homes, our team has the know-how, hands-on experience, responsiveness and integrity you need. But don’t just take our word for it, our clients’ references speak for themselves.